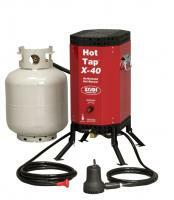 The Stove Top Pro Water heater is designed to be heated on heavy duty 35,000 BTU camp stoves. 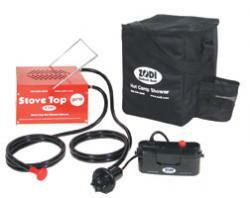 Just add 4 "D" cell batteries to power the water pump, and place system on top of the stove burner. Expect hot water in seconds for showers or cleaning. 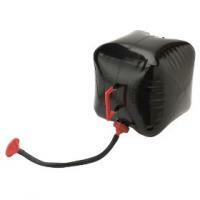 The water tight padded gear bag doubles as a water container. 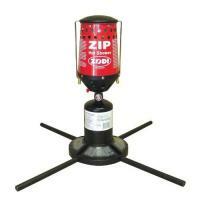 Ideal for base camps and family camping. The bag's liner shredded immediately. The material appears to be brittle and thin. The pump should have a 12-volt option to enable it to run off my truck's battery. 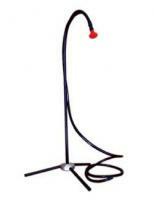 I can fit the hose directly to the faucet in my camper and use the 12V pump to power the shower. 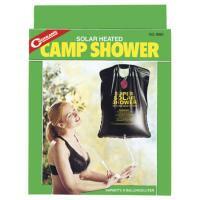 I can take hot showers now, wherever I go! I even use it to make shaving water!